GEPR HOME >On the Solar Panels Over My Head: How should we face their innocence and fickleness? On the Solar Panels Over My Head: How should we face their innocence and fickleness? That is why the year before last when I was building my new home, I installed solar power generation without hesitation. I flinched a little at the size of the initial investment (3.04 million yen including construction cost), but the fact that I had heard that I could receive a subsidy of 1 million yen combined from Tokyo Metropolitan Government and the local government, and above all considering that it would be “good for the environment,” I made my decision. To be accurate, I stopped thinking. What I learned, however, when I actually installed it was that solar power generation, at least with current technology, is not means for an independent energy generation on its own. One of the reasons is its fickle way of working. Solar power's period of operation or, as one might say, working hours are “9 to 5.” What's more, like the office worker with hungover it has a tendency to drive slowly and gradually in the morning and then restlessly starts preparing to go home when the tea time has passed. So, it only works seriously during few hours sandwiched around noon. When the clouds come out it becomes sullen, and when it rains it naturally does not try to do any work at all. Yet solar power generation, tiny though it may be, is a legitimate power plant. I was aware that the average operating ratio of solar power generation in Japan is only about 12%, but only the image of electricity-giving black panels bathed in bright sunlight had come into my mind. I did not have a feel for the truth. The second reason is that when I want to rely on it I cannot. I would want the solar power generator to be reliable most when the supply of electricity from the electric company is disrupted. However, in that situation solar power generation also ends up automatically shutting down. I will quote the text from the service manual of solar power system in my home. Because the output of electricity provided by the power conditioner fluctuates depending on the amount of sunlight, the electricity is unstable. Therefore, please do not connect devices that could be damaged or may have problems during usage (such as PCs without batteries, devices with memory functions, etc.) due to fluctuations in the electricity supply. If I manually switch over to independent operation and connect to the sole outlet on the power conditioner, it is possible to use some electricity. However, as the maximum is 15A and moreover the output is unstable, the appliances that can be used are limited. Frankly speaking, it turns out most cannot be used. This is not a source of power that would enable itself to be independent. As it turned out, solar power generation cannot practically be used as way to generate power without another large scale electricity source or large battery backup or the like that can provide stability to the output regardless of time period and weather conditions. Therefore, even if we curtail fuel costs, we cannot cut down on electricity generation equipment. It is necessary to invest in double the equipment. Furthermore, because the frequency and voltage of solar power are unstable, “optimal power system stabilization countermeasures” are necessary in any attempt to install it in large amounts. This system coordinates power generation, transmission, and quantity consumed. Since electricity cannot be stored in large amounts with current technology, if the unpredictably produced solar power increases, it makes those countermeasures extremely difficult. While costs differ greatly depending on amount introduced and types of countermeasures taken, even the lowest estimate suggests that costs nationwide easily will exceed one trillion yen. 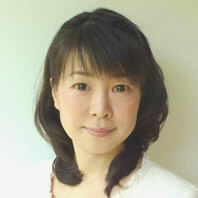 According to a trial estimate by the Study Group on Next Generation Electricity Distribution Networks at the Ministry of Economy, Trade, and Industry, of March 2010, if 28 million kW solar power generation was introduced, even with the most inexpensive countermeasures, 1.36 trillion yen worth of stabilization countermeasures would be necessary. Seen in this light, it seems valid to think that it is due to fundamental problems with the technology rather than a lack of government support that in our country introduction of alternative energies including solar (but excluding hydro-power) is limited to 1.2% of all electricity generated. For all that, I still like solar power. It is so sweet how the solar panels, when the sun shows its face, starts enthusiastically generating energy, and I enjoy checking the generation monitor every day. I am also thankful that it increased my motivation to conserve electricity. However, I cannot help but oppose the attempt by the government to promote solar power generation at the current level of technology with measures such as the introduction of feed-in tariffs this July. For, at our home, the panels overhead are so temperamental that we have given them the nickname “little Tora” as a parody of that symbol of the wandering vagabond, “Tora”, from Japanese movie series.